Qt 5.0 added basic support for retina reasonable resolution displays. The upcoming Qt 5.1 will improve the support with new API and bug fixes. Qt 4.8 has good support, and backports of some of the Qt 5 patches are available. Qt has historically worked in device pixels with DPI scaling. Back in 2009 support for high DPI values on Windows was improved. The Qt layouts do however not account for increased DPI. Qt 5 now adds support of the “new pixels” type of scaling. The key to the OS X high-dpi mode is that most geometry that was previously specified in device pixels are now in device-independent points. This includes desktop geometry (which on the 15 inch retina MacBook Pro is 1440×900 and not the full 2880×1800), window geometry and event coordinates. The CoreGraphics paint engine is aware of the full resolution and will produce output at that resolution. For example, a 100×100 window occupies the same area on screen on a normal and high-dpi screen (everything else being equal). On the high-dpi screen the window’s backing store contains 200×200 pixels. The main benefits of this mode is backwards compatibility and free high-dpi vector graphics. Unaware applications simply continue to work with the same geometry as before and can keep hardcoded pixel values. At the same time they get crisp vector graphics such as text for free. Raster graphics does not get an automatic improvement but is manageable. The downside is the inevitable coordinate system confusion when working with code that mixes points and pixels. The scale factor between points and pixels is always 2x. This is also true when changing the screen resolution – points and pixels are scaled by the same amount. When scaling for “More Space” applications will render to a large backing store which is then scaled down to the physical screen resolution. Qmake will add these for you. (Strictly speaking it will only add NSPrincipalClass, NSHighResolutionCapable is optional and true by default). If NSHighResolutionCapable is set to false, or the keys are missing, then the application will be rendered at the “normal” resolution and scaled up. This looks horrible and should be avoided, especially since the high-dpi mode is very backwards compatible and the application gets a lot of high-dpi support for free. Mac OS 10.8 (unofficially 10.7?) 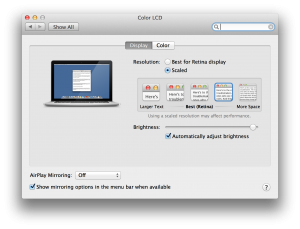 added support for high-dpi retina displays. Qt 4 gets this support for free, since it uses the CoreGraphics paint engine. Qt 5 uses the raster paint engine and Qt implements high-dpi vector graphics by scaling the painter transform. 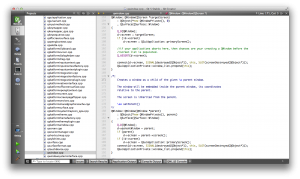 HITheme provides high-dpi Mac style for both Qt 4 and 5. 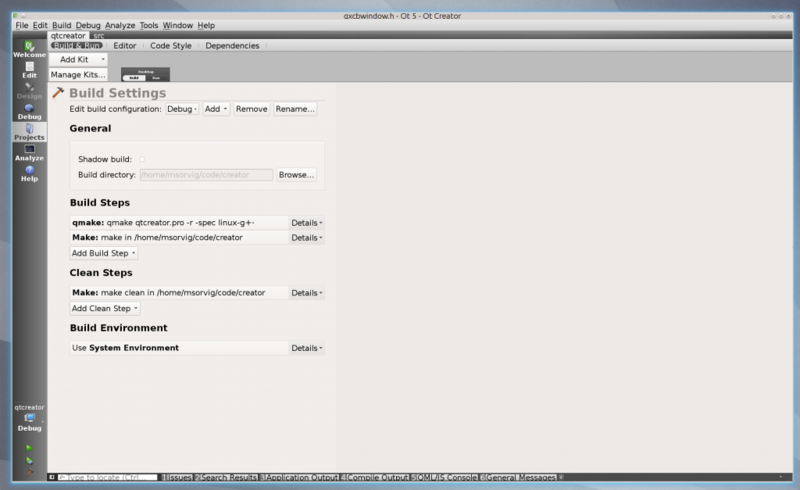 In Qt 5 the fusion style has been tweaked to run well in high-dpi mode. OpenGL is a device pixel based API and remains so in high-dpi mode. There is a flag on NSView to enable/disable the 2x scaling – Qt sets it in all cases. Shaders run in device pixels. Qt Quick 1 is built on QGraphicsView which is a QWidget and gets high-dpi support through QPainter. Qt Quick 2 is built on Scene Graph (and OpenGL) which has been updated with high-dpi support. 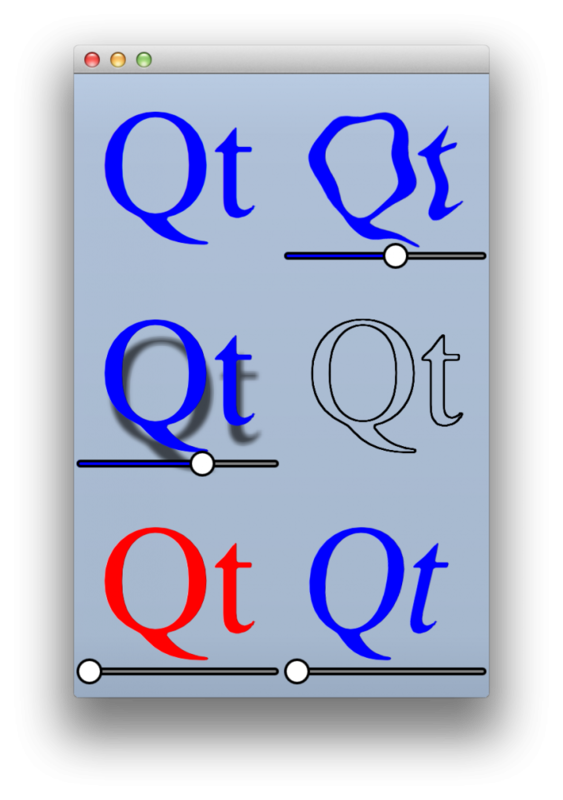 The Qt Quick Controls (née Desktop Components) has also been updated to render in high-dpi mode, including using distance field text rendering. The take-away point here is that for app developers this doesn’t matter, you can do most of your work in the comfort of the device-independent pixel space while Qt and/or the OS does the heavy lifting. There is one exception which is raster content – high-dpi raster content needs to be provided and correctly handled by application code. On high-dpi displays the gradient will have the same size on screen but will be filled with more (device) pixels. 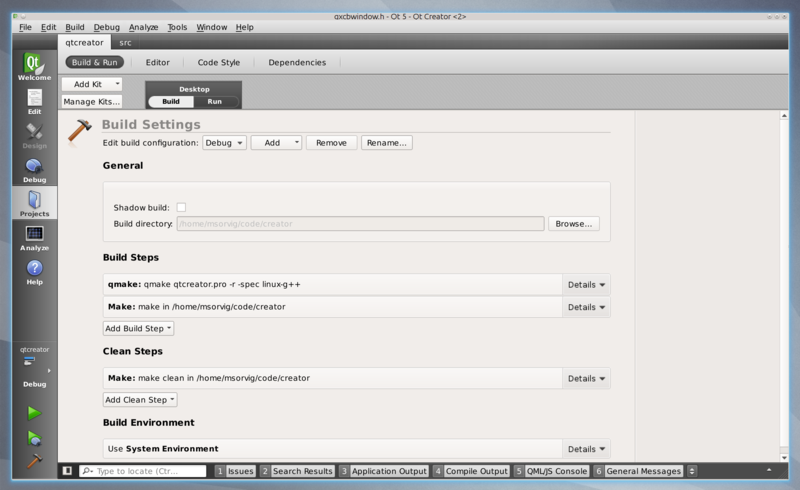 The attribute is off by default in Qt 5.1 but will most likely be on by default in a future release of Qt. Qt Widgets has some edge cases. Ideally it would pass QIcons around and the correct pixmap would be select at draw time, but in reality Qt API often produces and consumes pixmaps instead. This can cause errors when the pixmap size is used for calculating layout geometry – the pixmap should not use more space on screen if it’s high-resolution. 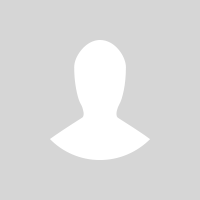 To indicate that a 200×200 pixmap should occupy 100×100 device-independent pixels use QPixmap::devicePixelRatio(). Pixmaps returned from QIcon::pixmap() will have a suitable devicePixelRatio set. Several issues like this has been fixed in Qt, and application code can have similar code that needs to be corrected before enabling AA_UseHighDpixmaps. Font sizes can be kept as-is, and produce similarly-sized (but crisp) text on high-dpi displays. Font pixel sizes are device-independent pixel sizes. You never get tiny text on high-dpi displays. OpenGL operates in device pixel space. For example, the width and height passed to glViewport should be in device pixels. QGLWidget::resizeGL() gives the width and height in device pixels. However, QGLWidget::width() is really QWidget::width() which returns a value in device-independent pixels. Resolve it by multiplying with widget->windowHandle()->devicePixelRatio() if needed. Qt Quick 2 and the Qt Quick Controls work well out-of-the box. As with widgets coordinates are in device-independent pixels. Qt Quick has fewer raster-related edge cases, since the QML Image element specifies the image source as a url which avoids passing around pixmaps. One exception is OpenGL shaders that run in device pixel space and see the full resolution. This is usually not a problem, the main thing to be aware of is that mouse coordinates are in device-independent pixels and may need to be converted to device pixels. Simplified, the application layer operates in the device-independent pixel space and does not know about device pixels. The platform plugins operates in device pixel space and does not know about device-independent pixels. The QPA layer sits in between and translates, based on a scale factor set by the QT_HIGHDPI_SCALE_FACTOR environment variable. In reality the picture is a little bit more complicated, with some leakage between the layers and the special Mac and iOS exception that there is additional scaling on the platform. I’d like to think that the proper way to use differnt form factors is to accept that they have different DPIs. I think its buying into Apples marketing a bit too much to say “high resolution” like it introduced a second DPI, and the rest of the world is still looking at ‘low’ resolution. The truth is naturally that there are an almost infiinite amout of resolutions, many of them higher than what Apple ships (bb10 for instance). I’m a bit confused about the (short) reference to QtQuick. I was quite comfortable with the idea that a certain device I target has a certain DPI and certain amount of pixels. I can design for that, life is good. So I’m wondering if that no longer is the case, is this change going to mean some QML elements get twice as big somehow? Is that only on Apple products? In Qt4 times I often used code that essentially takes the user configured font, calculates the x-height and uses the pixel-size as a standard size to determine things like spacing in my UI elements. ps. the screenshots of creator show a bug in the scaling of the current-build-icon. I fully agree to you Thomas! Only supporting double-scaled images does not fulfill today’s requirements, especially not on mobiles where the device’s resolutions vary from 480×320 up to 2048×1536 like the iPad 3 or even more some Android tablets have. Thus we added a custom content-scaling possiblity as part of the V-Play game engine on top of Qt, which allows to have arbitrary scale factors and custom definable suffixes. In we explain how to achieve content-scaling across devices and how to handle different aspect ratios with the same UI layout. It would be great to see a similar concept built-in Qt though! Looks interesting! And I agree on the goal of making it easier to work with a wide array of resolutions. Well, I think the documentation linked to in the first table to makes a good argument that the “new pixel type” approach is not an Apple-only thing. The fixed 2x scale factor is as far as i have seen exclusive to Apple, and makes developers life easier on those platforms by reducing resolution fragmentation. The changes to Qt 5.1 are only relevant on OS X and iOS, and they are as such targeted at making Qt work well on those platforms. This also includes Qt Quick, were we have had good results making the desktop controls work on both retina and non-retina hardware (meaning you can re-use the same layouts and pixel positioning tweaks for both). We’re also using the same approach on iOS, although we don’t have much experience with control sets there yet. “Free scaling” to non-2x factors is in fact possible with research code i talk about in the final paragraph – you can set QT_HIGHDPI_SCALE_FACTOR=1.8 for example. In the current implementation it’s quite usable but not pixel perfect. Nice work! I’ve been playing around with this on iOS (having backported it to 5.0.2), and it works really well. There certainly are times when you want to have it turned off (and use the full resolution of the display), and other times when you want to turn both ‘retina’ and ‘highres’ off and run apps in ‘non-retina’ display mode. So you need to have those options available (currently they are compile time for retina/highres, and configuration driven for ‘non-retina’). Thanks for some other informative website. The place else may I get that kind of information written in such a perfect way? There is also a multiple of that unit called grid unit that makes it more likely that UI elements align gracefully. 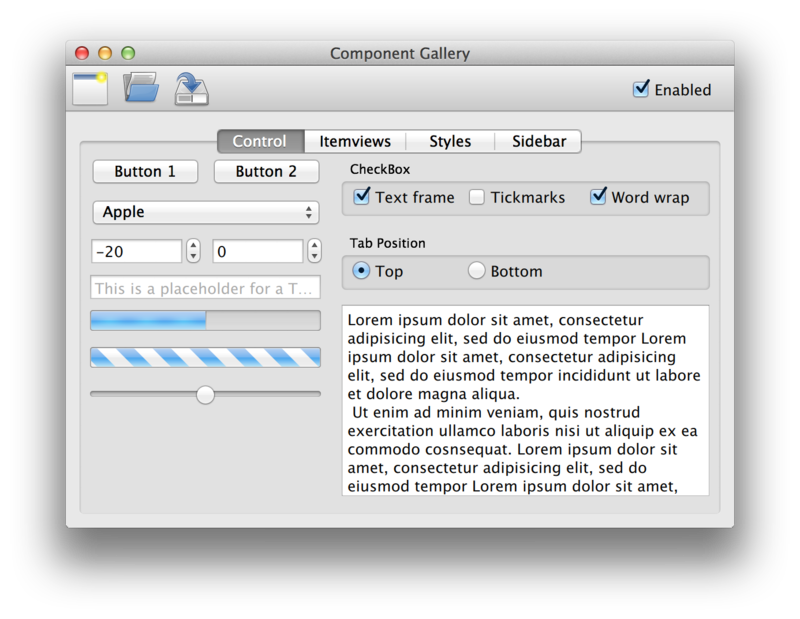 In the “Desktop Components” screenshot, most components look fine, except for the corners of the tab bar. How come? There’s a problem in Qt4 under X11 when used with high-ish DPI values (greater than 120), which is quite unfortunate. I wonder why it didn’t get any attention before, considering there’s no such bug on Windows or OS X. 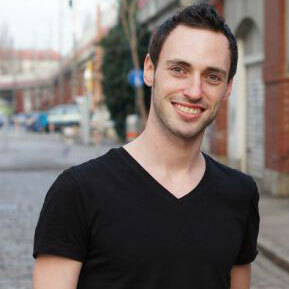 If to https://bugreports.qt-project.org/browse/QTBUG-27389 to add https://bugreports.qt-project.org/browse/QTBUG-25998 – Qt doesn’t wish to support linux. OpenGL support with hidpi (OSX 10.7.5 with hidpi) is broken with Qt 5.0.2. Just try to run Hello GL: it’s pixelated and the render window goes outside the drawing area. Will this be fixed in Qt 5.1 ? Is there any beta coming soon ? This is a blocking bug for my application..
What aboutQt Stylesheets ? Is there a way to specify images devicePixelRatio ? It would be nice if the eglfs (embedded OpenGL ES) backend supported some way of configuring the display DPI.